Risotto Milanese is already divine, but making it in 15 minutes makes it godly!!! 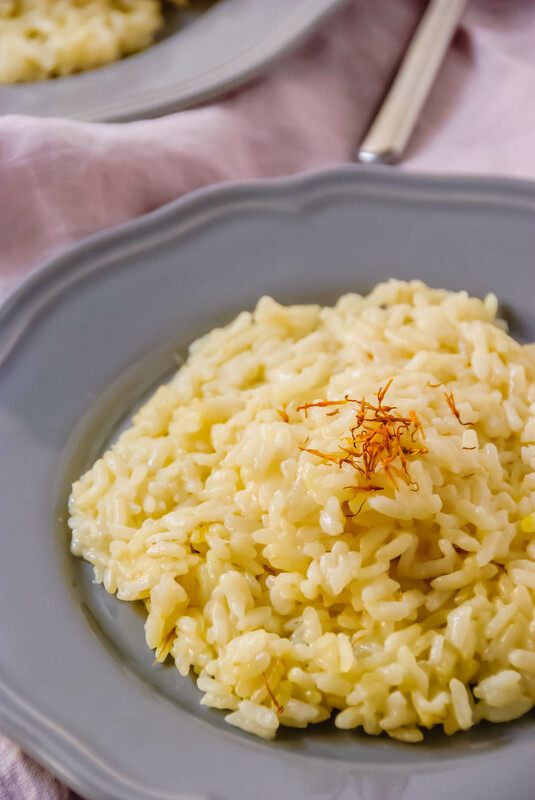 15 Minute Pressure Cooker Risotto Milanese is perfect as a side dish letting you focus on other aspects of a meal, and it’s great as a main dish as well! Super simple and easy! Although of Italian descent, my grandparents and my mom never really made risotto (from what I can remember). Arborio rice, what I used to call Italian rice, was cooked when I had the flu. I had it plain with a little salt and thought it was amazing. Imagine my discovery of Risotto Milanese back in 2012 when my mom and I traveled to Italy to surprise my cousin for his wedding – eating it for the first time was: DIVINE. From then on, whenever at an Italian restaurant I’d look for it on the menu; and we decided to start cooking it at home. 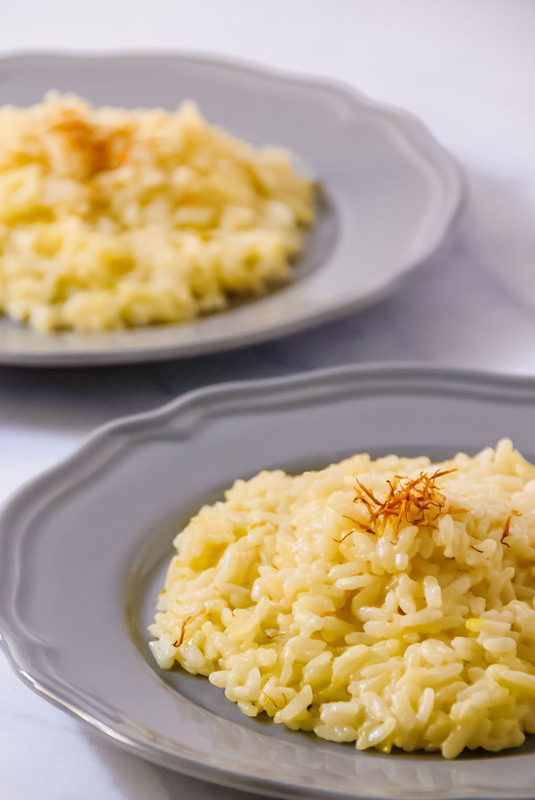 We always use the recipe for Risotto Milanese or Saffron Risotto from Mark Bittman‘s How to Cook Everything: The Basics. 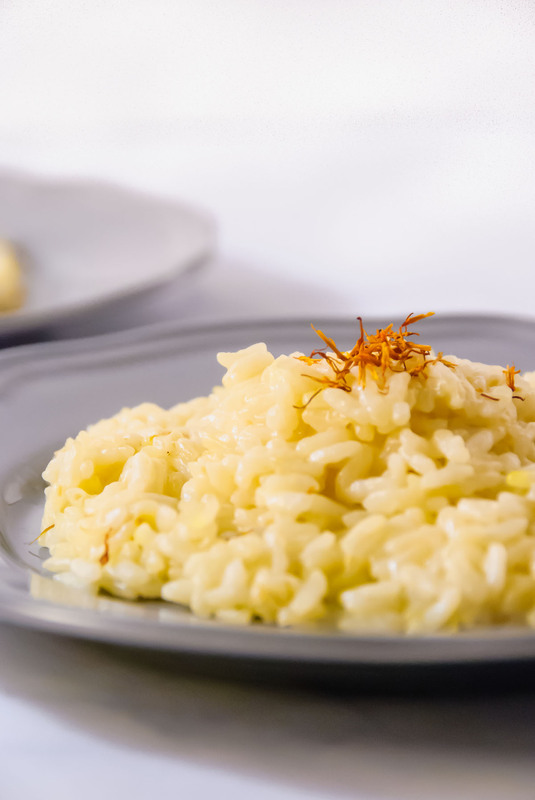 The recipe is a great base to learn the fundamentals of how to make a good risotto. On nights when risotto was made my parents would team up: my dad on meat or fish and my mom on risotto to make a great meal. 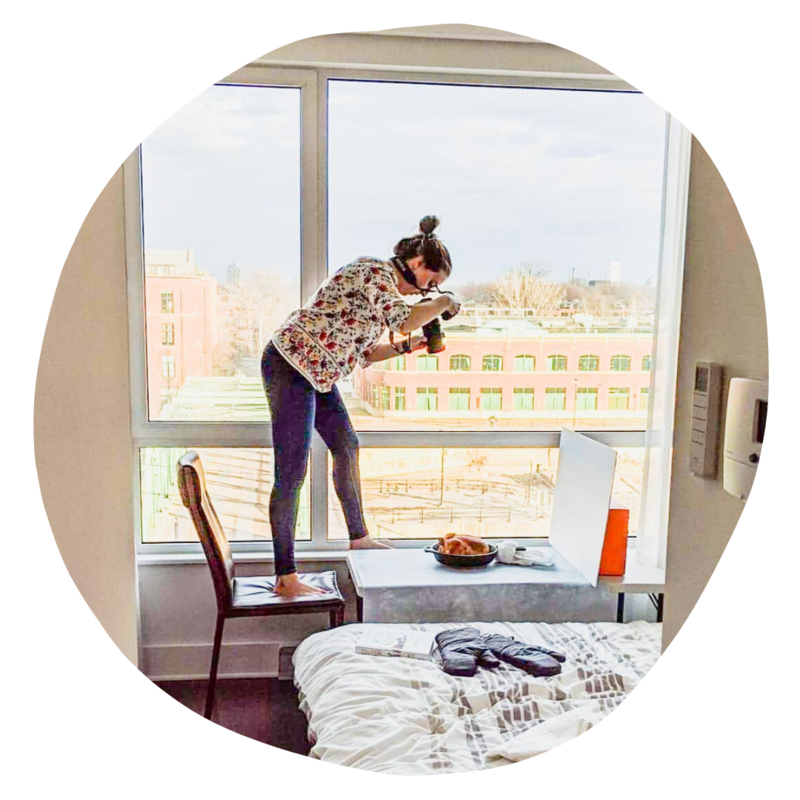 When you’re alone in the kitchen, this can be more difficult because of risotto needs to be stirred constantly as it cooks. In a recent episode of Dan Pashman‘s The Sporkful podcast talking about how you would use The Force (Star Wars reference) in the kitchen, Kenji Lopez-Alt (of The Food Lab at Serious Eats and author of The Food Lab) said that he would use it to The Force to stir risotto. But we are mere humans who cannot use The Force… we can use something close to it though!!! The PRESSURE COOKER!!! I was ECSTATIC when I found out that I could cook risotto in my new Fast Slow Pro by Breville, causing my craving for a good risotto to increase. Then, New Year’s Eve, I had a fantastic food and wine tasting at Le Fantôme in Montreal where one of the courses was Risotto Milanese with a bit of Fried Sweet Breads – oh my word DELICIOUS! And upped the need to try making it in my new multi-cooker. It took what is already divine and turned it godly. Why? Because I was able to make a fantastic risotto side dish and prep other parts of the meal as well (steamed broccoli and roasted chicken) – ALL BY MYSELF! P.S. I’d also have this as a main dish. 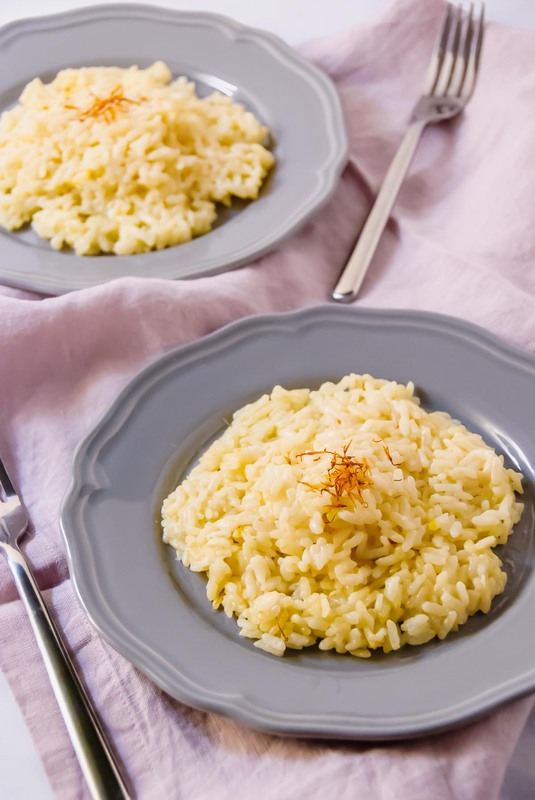 Risotto Milanese is already divine, but making it in 15 minutes makes it godly!!! 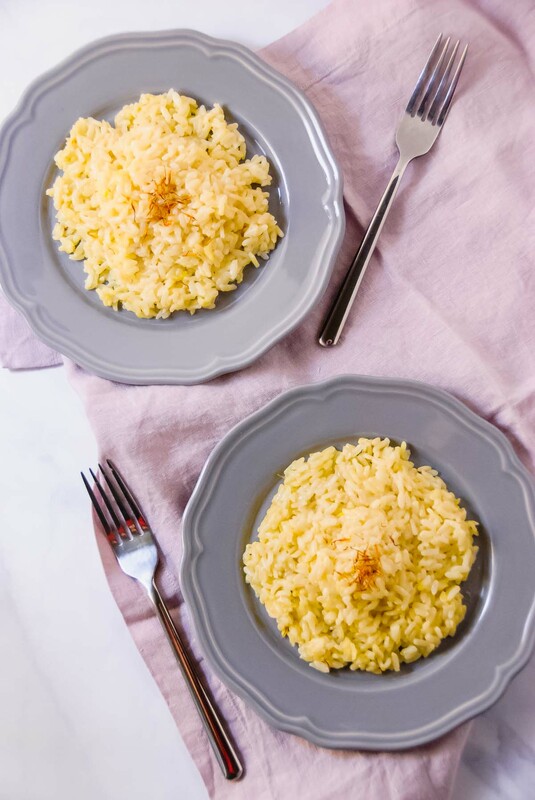 This 15 Minute Pressure Cooker Risotto Milanese is perfect as a side dish letting you focus on another aspect of a meal, and it’s great as a main dish as well! Super simple and easy! In a pressure cooker, select sauté on medium heat and preheat the cooking bowl. Add olive oil, butter and onion and cook until translucent, about 3 minutes. Warm 3 cups of stock in a heat safe bowl in the microwave. Add garlic and rice to the cooking bowl, and cook stirring constantly until the rice gets a bit translucent, about 2 minutes. Add wine and let it simmer until reduced by half, about 1 minute. Add stock, salt and saffron, select pressure cook and set to low pressure (6.0 psi) for 5 to 6 minutes depending on how you like your risotto (5 a bit of crunch, 6 cooked through) and a pressure release of auto quick. When the pressure is released, add 1/2 to 1 cup of stock depending on preference for consistency, and stir in parmesan cheese. I love it as a side where it can serve about 6 people and as a main which can serve 3 to 4 depending on how hungry you are. I actually like risotto the next day as well, so you can definitely pack it for lunch. Don't worry if you're just two people!